I'm pretty sure it's not yet too late to register for this event so if you are free this afternoon, register now here. 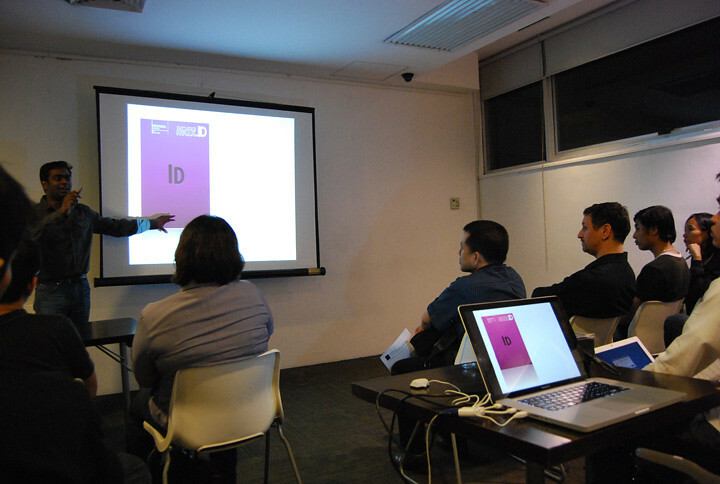 I have been attending all the InDesign user group meetings (missed only a coupla events so far) and I sure learn a lot there. I may not have had the chance to take home a free copy of InDesign yet (they raffle off one every meeting) but for sure I take home a lot of useful design info haha. For this special event, Mr Ernesto L Lopez, head of _ABS CBN Publishing Inc will be in charge of opening the session, followed by a brief look at the changes occurring in the publishing world by Jesús Vicente, editorial design consultant for some of the biggest publishers in SE Asia, and guest speaker Mr Neil Agonoy, Art Director for renowed fashion magazine METRO will take us through the challenges of creating compelling magazine content and would share some of his tips for producing engaging layouts. On the technical front, Mr Gilbert Victoria, Art Director from CreActive and lecturer in multimedia studies at Bulacan State University, will share tips about merging data in InDesign CS5. All of this will take place in an informal and relaxed setting. Interesting line up! I'm a fan of Neil Agonoy's work for Metro (and Metro Home) and I'm quite excited to hear what he's gonna say later. More details about the event here. See you!